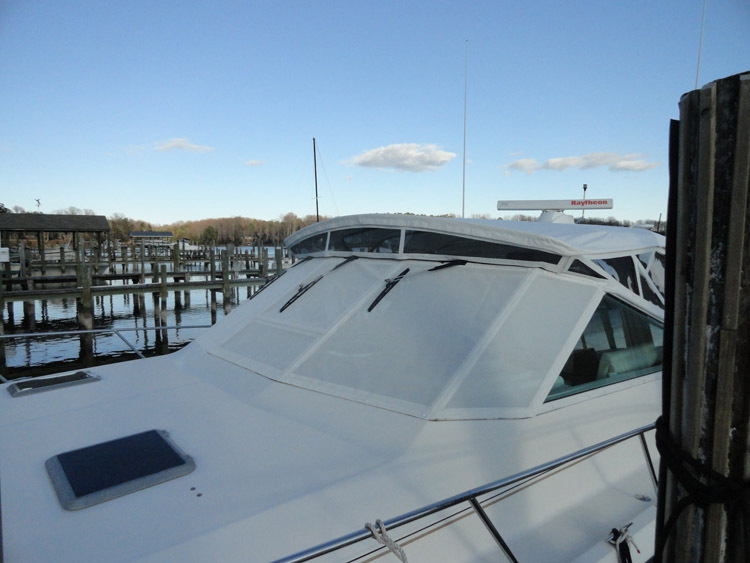 This project involved renovating much of the interior of a 36’ Egg Harbor. 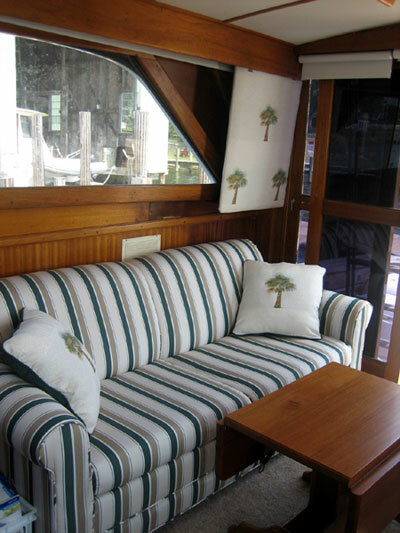 New carpet was installed, the sofa was recovered, new window treatments and roller shades were installed, as well as new cushions for the dinette and V-berth. 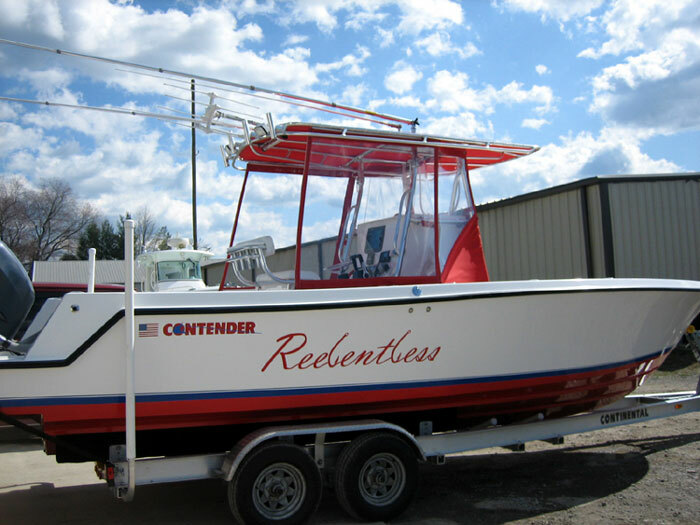 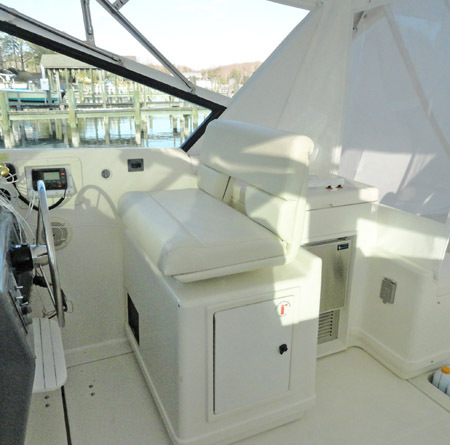 This project on a 38 foot Tiara involved new bimini, full enclosure, and cockpit cover out of Steadfast vinyl and CY4EZ Light. 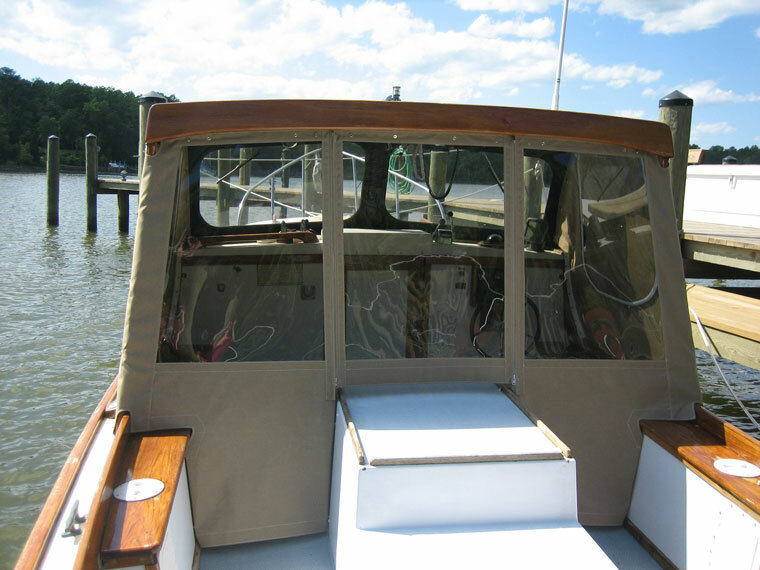 We also did a Phifertex windshield cover and recovered the seats in the helm area. 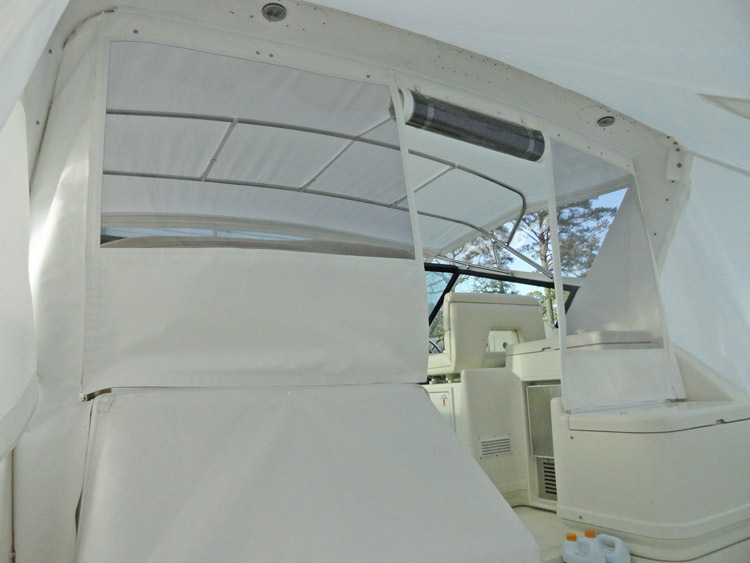 New Enclosure curtains for a northern style boat. 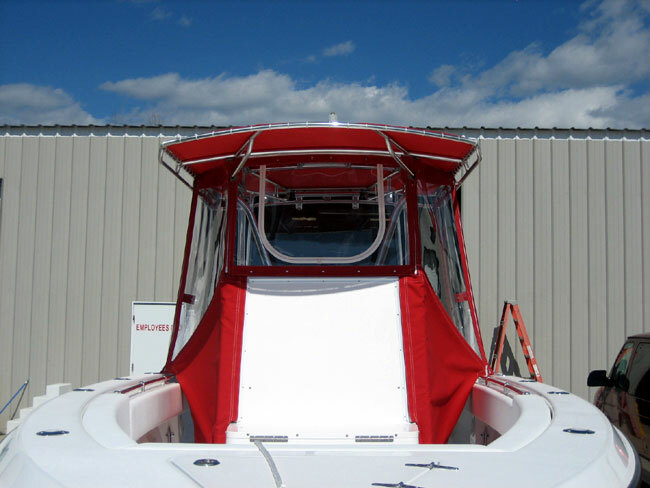 We used Makrolon AR-2 for the first time on this project. 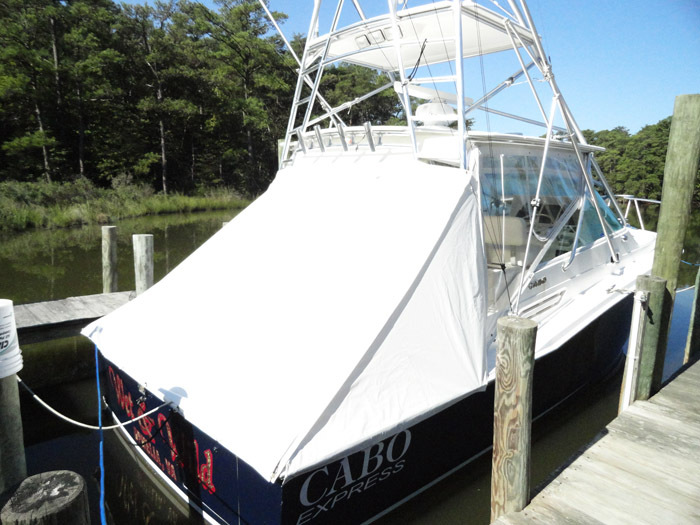 New Cockpit Cover on Cabo Express. 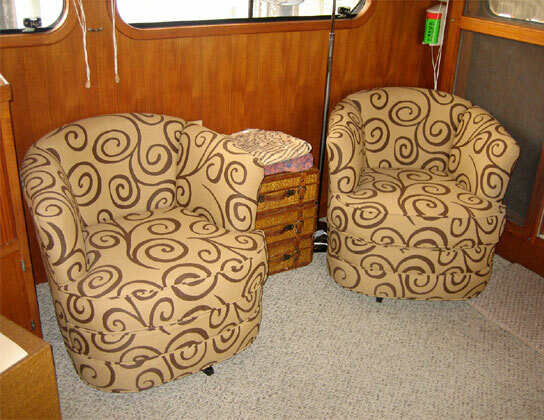 This customer spends much of the year living aboard and wanted to increase the seating available in the salon, but have something comfortable. 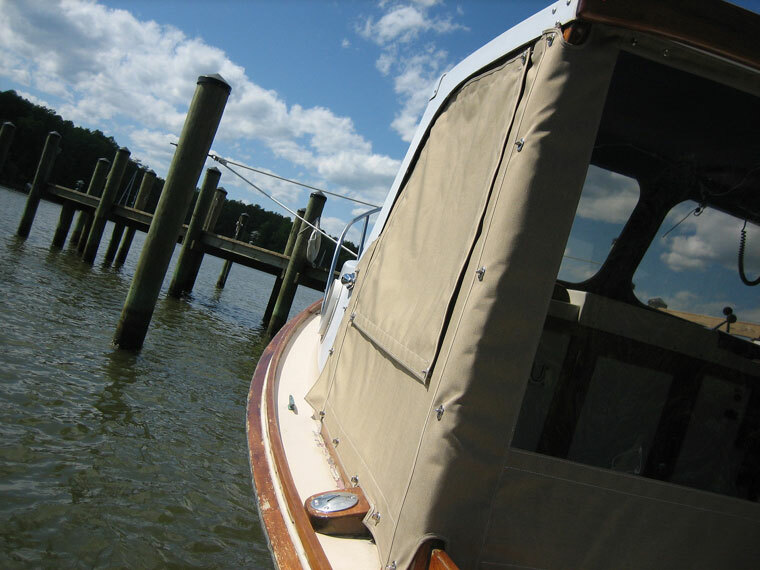 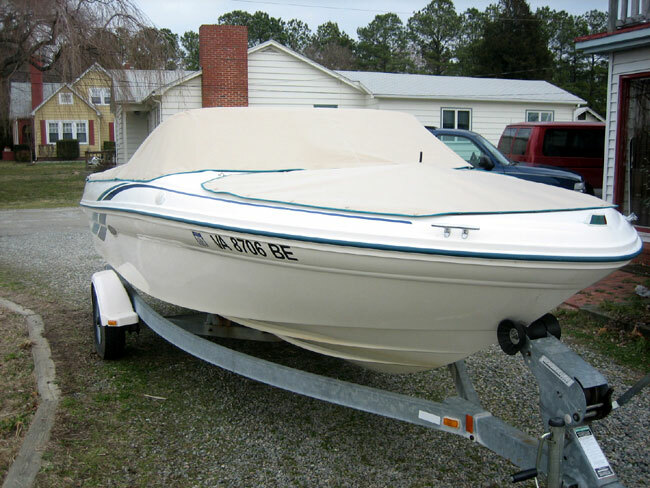 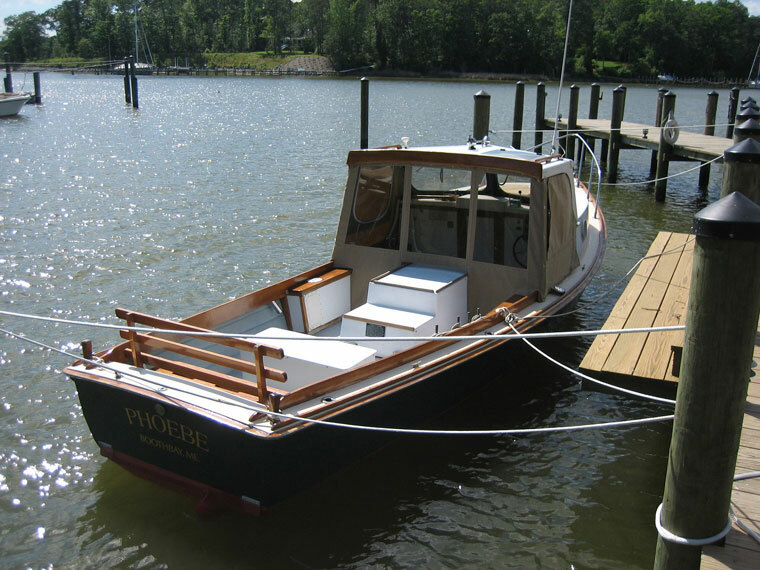 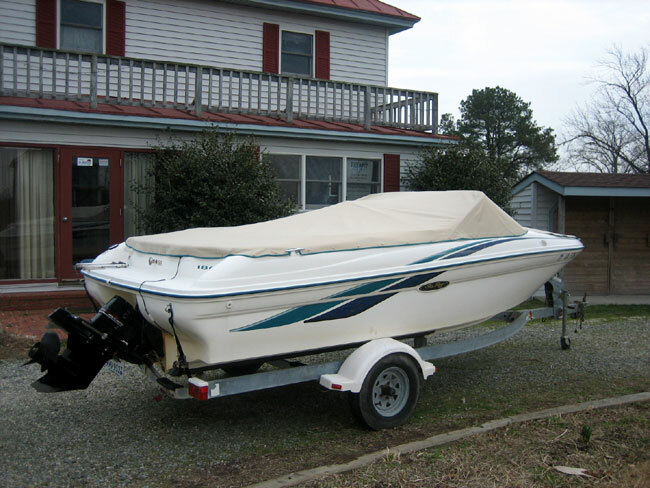 They also needed something that could be installed quickly as they were in the process of cruising the Chesapeake Bay. 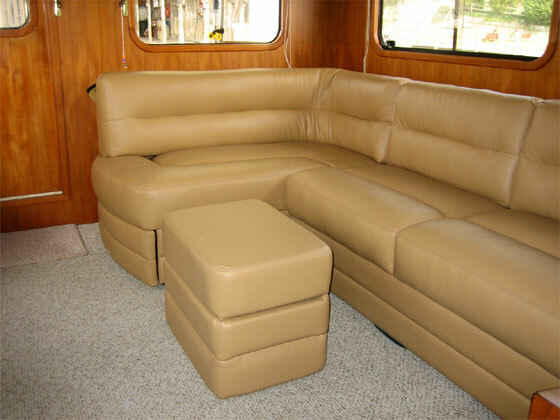 We ended up ordering a semi-custom sectional covered in Ultraleather and two small swivel chairs. 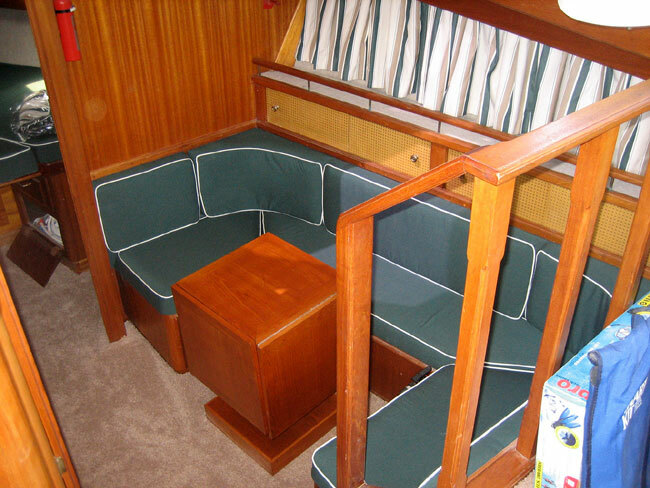 We also built a custom ottoman with storage and covered it in the same Ultraleather.